The steady decline of the car combat genre has to be one of the saddest things in our industry over the last few years. Onrush may have scratched that itch for many people, but it’s heart-breaking that the likes of Twisted Metal and Burnout are a thing of the past now. 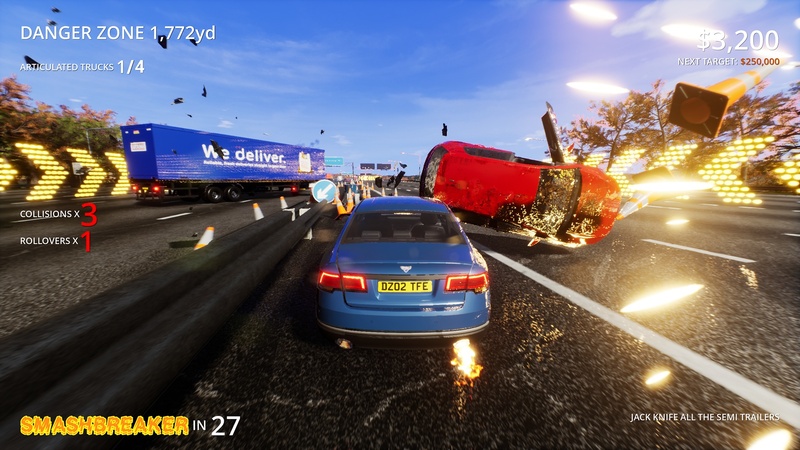 Speaking of Burnout, though, Three Fields Entertainment, which is comprised mostly of employees from former Burnout developers Criterion have been working on a new car combat title, called Danger Zone 2, which looks pretty good. But not only does it look good, it looks good. We recently interviewed the team at Three Fields, and they fielded several questions, some of which were related to how the game will perform technically on consoles. The answers we got were quite impressive. On the Xbox One X, Danger Zone 2 will come with two modes, one which will prioritize performance at 60 FPS and render a 1080p resolution, while another mode will also be available that will support native 4K resolutions, but with a 30 FPS frame-rate. On the PS4 Pro, meanwhile, the game will only run at 30 FPS, while a native 4K resolution will also not be supported. Instead, it will make use of temporal checkerboarding, and achieve 4K resolutions that way- for screens that support 4K resolutions, that is. If your screen doesn’t do that, the game will be rendered at 1080p, with a 15% supersampling boost. But what about the base consoles? Well, the answer there is much simpler, and more aligned with standard expectations. On both the PS4 and the Xbox One, the game will run at a frame rate of 30 FPS. The PS4 version will sport a resolution of 1080p, while the Xbox One version will output at a 900p resolution. Admittedly, it is a bit disappointing that the PS4 Pro version of the game does not support 60 FPS whatsoever, but it has to be said that the Xbox One X version of the game is looking impressive, at least based on those specs. Danger Zone 2’s launch is almost upon us- it launches tomorrow. Next articleNVIDIA GeForce GTX 1180 From ASUS Leaked By Vietnamese Store; Launches September 28?